Apple is reportedly getting ready to launch an enhanced iPhone trade-in program which, unlike the current program, should allow users to bring in damaged iPhones. 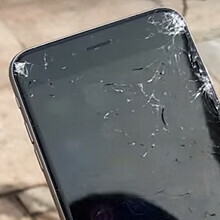 More exactly, according to 9to5Mac, Apple will accept iPhones with cracked screens, damaged buttons, or damaged cameras in return for credit towards getting a brand new iPhone. Apparently, only damaged iPhone 5s, iPhone 6, and iPhone 6 Plus units will be accepted - folks rocking older models seem to be out of luck. It's said that a broken iPhone 5s will get you a $50 credit, while broken iPhone 6 and iPhone 6 Plus models could get you at least $200, or $250, respectively. 9to5Mac notes that this upgraded trade-in program should be launched this week (most likely, only in the US - at least for the beginning). Another new thing that Apple started doing is to offer plastic screen protector installations in its official stores (not for free, of course). 9to5Mac reports that this is already available in select Apple Store locations, and the process is similar to what you're seeing in the video below (it's in Dutch, but you'll get the point). Wow, apple never fail to impress me. Man that's some A-grade sarcasm there. Seems pretty desperate but a good scheme to get a handful more iPhones sold I guess. Wonder if they'll actually try making a compelling device or just stick to the bare minimum and hope to coast on their good will from Jobs' era. FF, iPhone beats pretty much all in benchmarks and in real life... troll much? or just angry at something? The trolls are fishing for green thumbs. Both parties could gain benefit but i think it's smart business for Apple, customer will be happy at least it's better than nothing & Apple gains even more benefit cuz they are selling refurbished iPhone aren't they? I thought this was a bad deal at first but then I realized its for broken iPhones. That's not that bad I guess. Apple have a long way to match of it's true Samsung includes broken screens in the S7 warranty. Samsung didn't even warranty their "waterproof" phones from water damage!!! Quit worshiping. Humor.... Selling a phone that require upgrades in the store to survive everyday use. Clearly poor design.